That company decided to double down on their investment in the new technology. The entrepreneur doubled down on his investment in a new business. That small company will have to pony up the money to pay off their loan this year. The cost of borrowing is rising, so we decided to pony up the sum required to pay off our credit card. AmEnglish.com® has just released a new program, Idioms in English – Phrasal Verbs. This brings the total number of online, interactive English training programs to 17, all of which are available to subscribers as part of the AmEnglish – Accelerate Program. 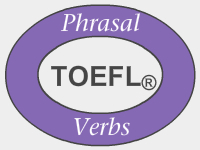 “Phrasal verbs like slip up and map something out are tricky because usually the meaning cannot be understood by looking up the individual words in a dictionary,” said the author, Kathy L. Hans. 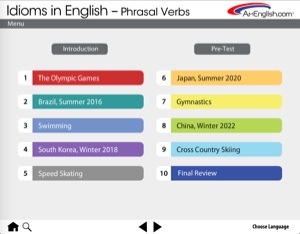 Idioms in English – Phrasal Verbs is unique because the stories using the idioms in context focus on upcoming Olympic Games. So you can improve your idiomatic vocabulary while learning a little about the history of the sports and the host cities.